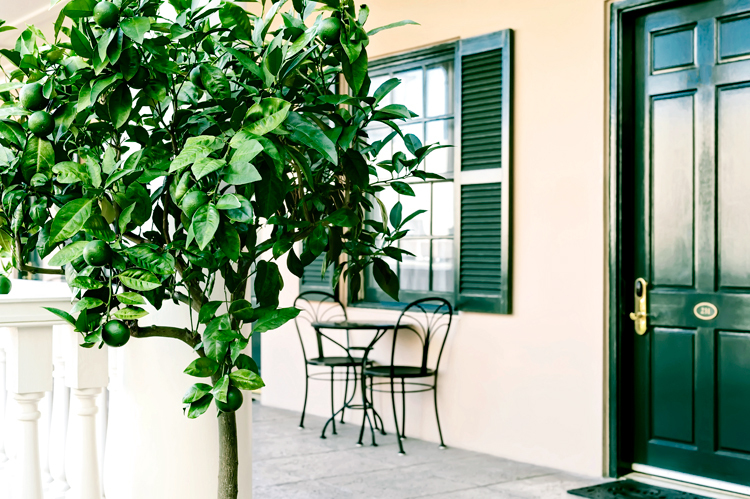 For a view that is peaceful and serene, the Piazza King Guest Room opens onto a shared piazza overlooking the charming Planters Inn Courtyard, which was designed by Sheila Wertimer, the landscape architect responsible for Charleston's most elegant gardens. Soaring ceiling heights and custom crown molding create an airy sanctuary. 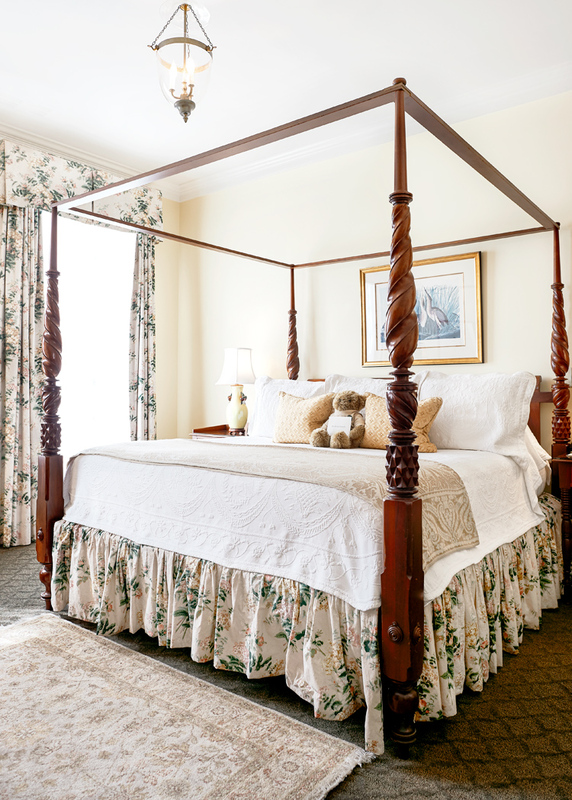 Relax in the lovely sitting area adjacent to the handcrafted four-poster Baker Historic Charleston Collection king size bed with elegant hemstitched bedding by leading Italian luxury linen brand Mascioni. 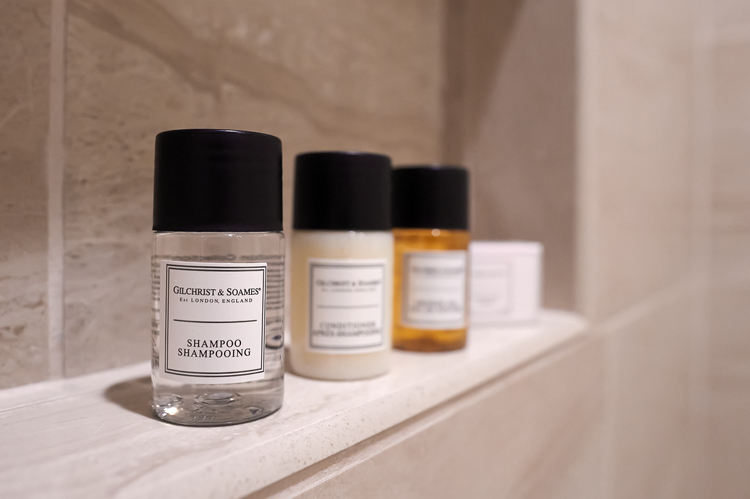 The bathroom is stocked with Gilchrist & Soames spa-quality amenities. In the morning, birds sing from branches beside the courtyard fountain. At night, a soft glow from the gas-lit carriage lanterns gently illuminates the garden enclave. 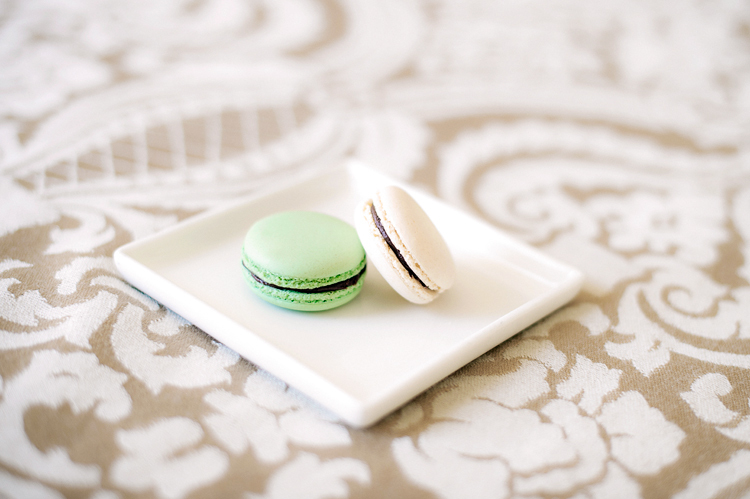 To wish you sweet dreams, the talented Peninsula Grill pastry staff will deliver two delicious macarons to your Piazza King Guest Room during evening turn-down service.